Come and enjoy our animals in their home setting and take the opportunity to learn about their fibre, its preparation and use. 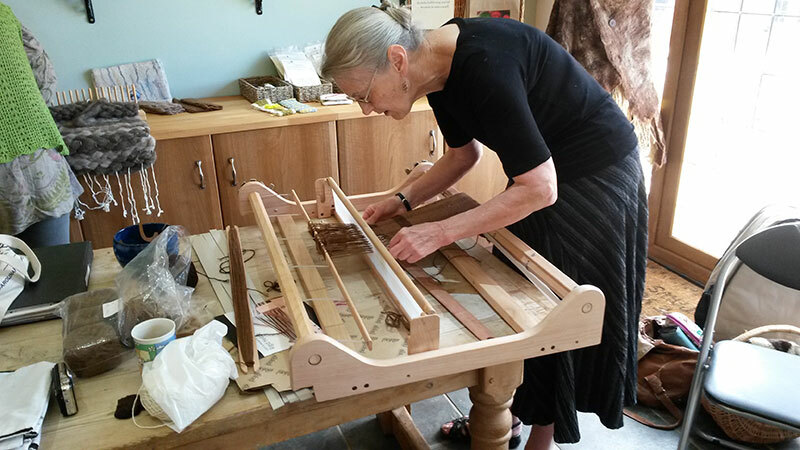 Have go at spinning and felting and make something soft and wonderful to take home with you. Get a group of friends together (min 3, max 6) and we will put together a day for you. We can offer half day or full day classes. All refreshments (with lunch for full days) and materials included. Make scarves, felted soaps and/or pictures. Use wet and needle felting techniques to make unique pieces to wear and for the home. Can't make that day? Call to register interest in our next workshop or gather a group of friends and family and create your own event. Great for Hen parties. Whether you have alpacas (or not!) and fancy spinning your own yarn, come and enjoy our animals in their home setting and take the opportunity to learn about their fibre, its preparation and use. Learn the basic techniques to get you started or brush up you skills and problem solve with an expert teacher. If you have a wheel you are struggling along, bring it along and let Marilyn help set it up for you. Having mastered the basic spinning technique have a go at creating novelty yarns to make your knitting and crochet more fun. 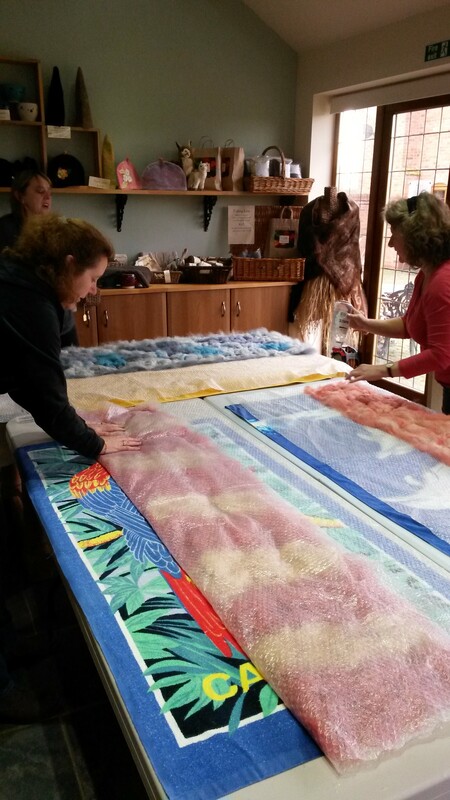 Flat wet felting skills are built on here to create seamless bags. Got the basics or thought you had? Trouble with setting up and adjusting your wheel? Whatever the problem we can help you solve it. Bring your own wheel if you wish. Combine the two techniques to create imaginative and decorative pictures, wall hangings or panels that can be used for cushions or other applications. Create your own unique slippers to custom fit. Be prepared to get your shoes and socks off the do the final fitting on your own feet! How to blend and ply fibres and colours for interesting effects in your finished knitting or crochet. All tuition, course notes, refreshments, lunch and materials included.